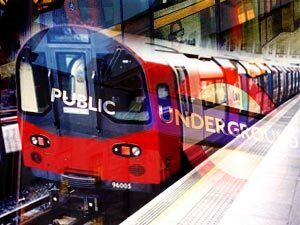 Commonly referred to as the ‘Tube’, the London underground is the oldest, most extensive underground in the world. There are 11 underground lines for the underground network, each with a different name and colour. The network is divided into 6 connective zones which determine the price of the ticket. The underground services the central area and most suburbs to the north of the Thames. Those areas that are to the south of the Thames are linked by an extensive suburban rail surface network. Tube maps are easily available at stations and tourist offices. They are also prominently displayed at stations. For shorter distances it is better to use a bus than the tube. Trains run from 5.30 a.m to 1 a.m. The tube can get extremely crowded during rush hours 7.30 – 9.30 a.m and 4.30 – 7.00 p.m.
TFL’s Oyster card can be used along with tickets that can be bought from staffed ticket counters at stations or from ticket machines. All day travel cards are the best options available and can be purchased from any underground station for £ 5.50. You can buy weekly, monthly and longer period travel card season tickets at any tube station office. These can be used on any tube, bus, London overground, national rail or train service. Parents traveling with small children in strollers should be careful on the steps in the underground as escalator facilities are not available at all stations.